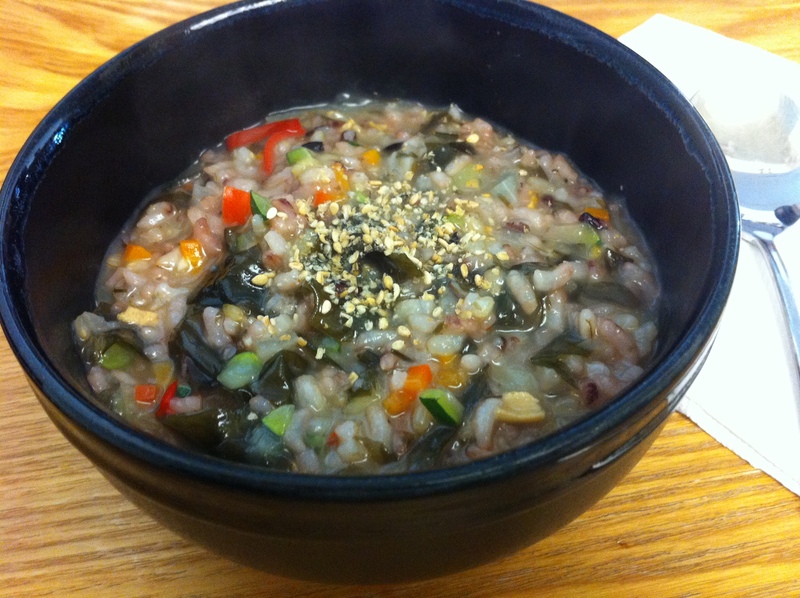 One of my favorite breakfasts is juk or porridge made of leftover soup. It is quick, easy and nutritious. All I do is sauté finely diced vegetables and cook the soup with cooked rice until the dish becomes a consistency of a hot cereal such as oatmeal. 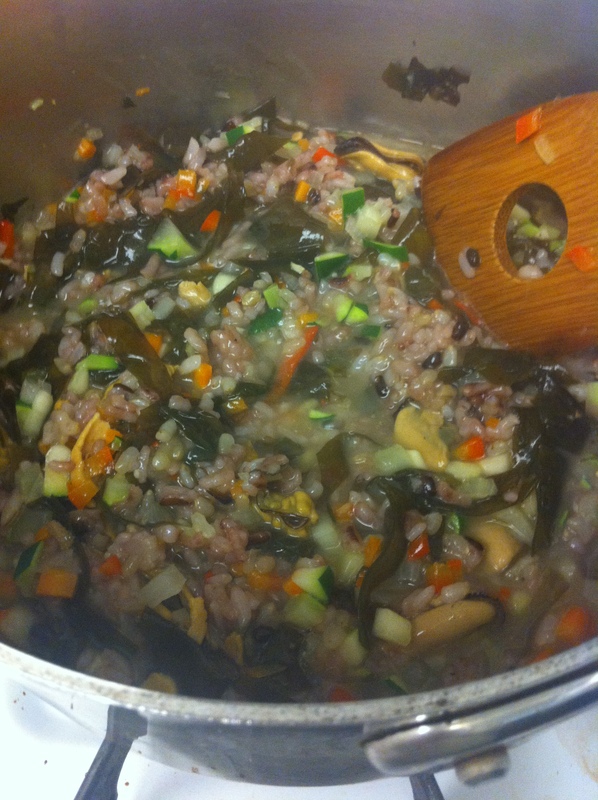 Today, I will show you how to make juk with mussel miyuk-guk. Drizzle sesame oil or olive oil on medium-high heat. 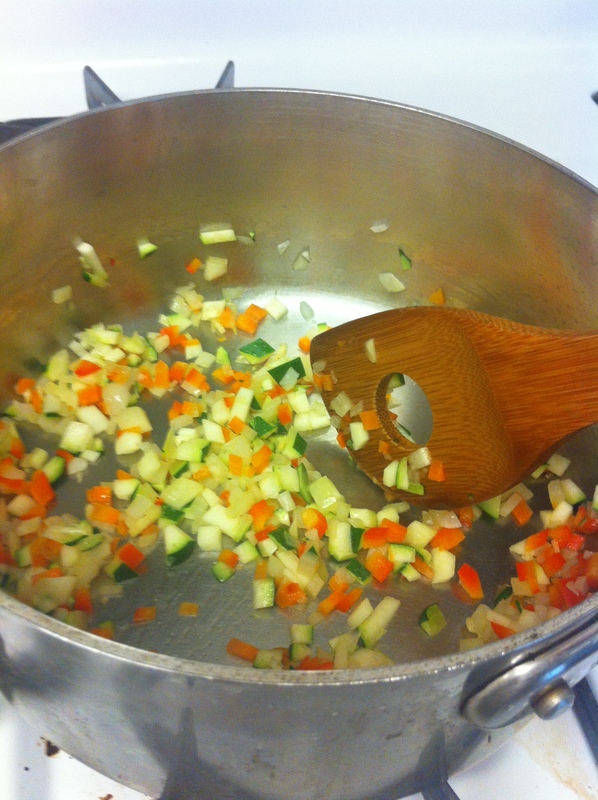 Sauté the diced vegetables for about 2-3 minutes. 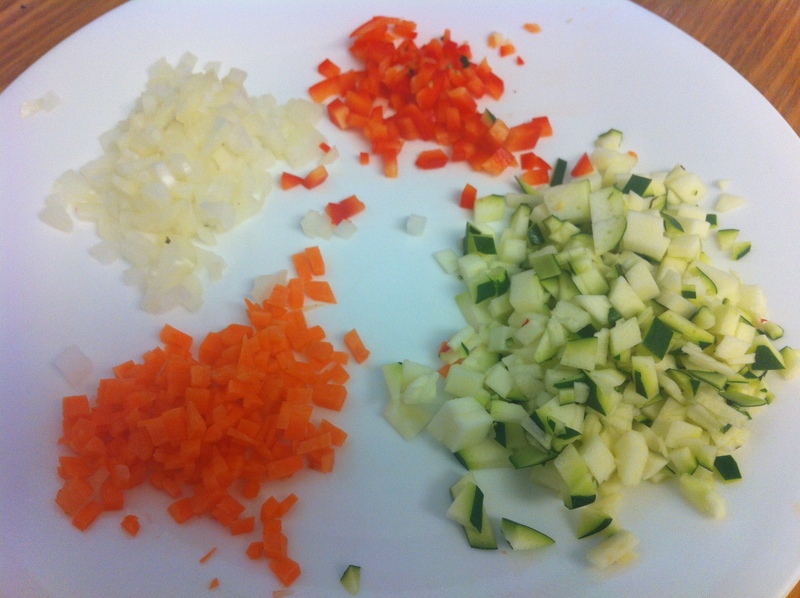 Add the rice and mix with the vegetables for about 1 minute. Pour in the honghap miyuk-guk and water. Stir and bring it to a boil on high heat. When it comes to a boil, lower the heat to medium with the lid open. Stir often so the rice does not stick to the bottom of the pot. Cook until most the liquid is absorbed and evaporated to a consistency of a hot oatmeal. Granish with toasted sesame seeds. 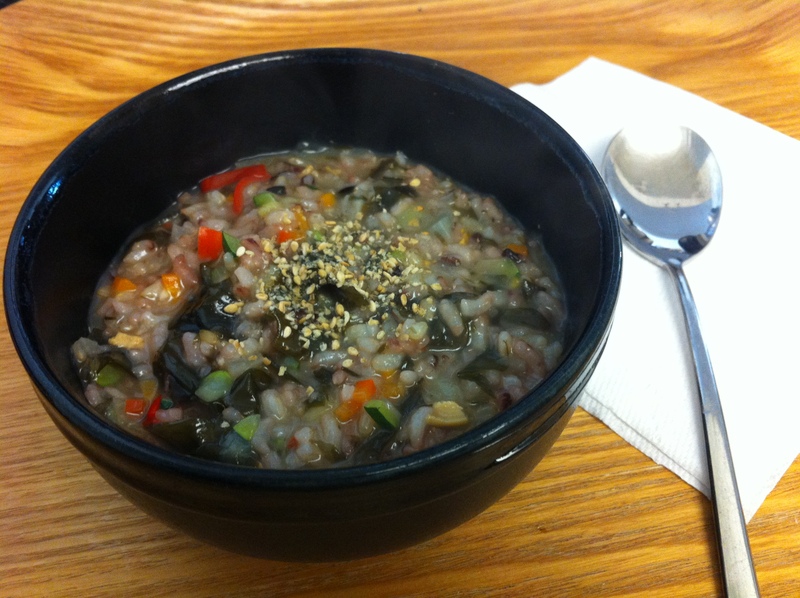 This entry was posted in Good for breakfast, Good for dinner, Rice Dish and tagged Honghap, Juk, Miyuk, Mussels, Porridge, Seaweed by gangnamkitchen. Bookmark the permalink.